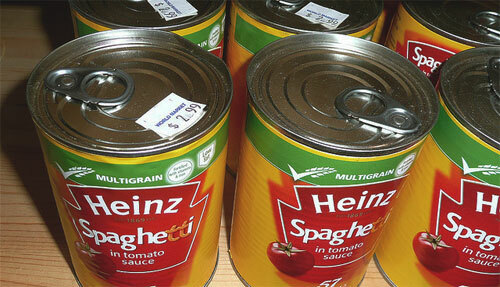 Bisphenol A, more commonly known as BPA, is a chemical used in sturdy plastics and the resin lining of tin cans. BPA has been in the news recently for two reasons: (1) Measurable levels of the compound can be found in 93% of Americans, and (2) some research suggests a negative human health impact from prolonged exposure. Though the link between canned foods and measurable BPA seems straightforward, the industry has spent time refuting it, claiming that this BPA may not necessarily derive from the lining of the can your chili’s tomato sauce came in. After all, BPA is also used in other things we handle regularly, like thermal receipt paper. Meanwhile, this chemical just sits in our body, doing something. If you’re worried about what that funky BPA is up to, a new study published in the journal Environmental Health Perspectives offers a way to get rid of it. A team of researchers from the Silent Spring Institute, an environmental health nonprofit, the Breast Cancer Fund and Vassar College took five families from the San Francisco Bay area and had them stop using canned foods and plastic food packaging for several days. The scientists found that BPA levels among the family members dropped by an average of over 60% — but once they went back to their normal diet, the BPA levels went back up as well. That’s pretty strong evidence that restricting use of certain plastics and packaging — or banning BPA — can significantly reduce exposure to the chemical, and whatever harm BPA might carry. Aside from fresh produce generally just tasting better, reducing exposure to BPA is a great reason to head to your local farmers market instead of the grocery store’s tinned food aisle. One note: I often berate organic/natural food critics from reading too much into one study, and it’s only fair that I take this small study with a grain of salt. It is, admittedly, a tiny sample, but what’s interesting to me is the effect size (60% reduction!!!). And then the levels went back up after the families returned to their previous diet. In research, we try to find on/off switches, and despite the scale it seems that they’ve found one. Another study in another part of the country replicating these findings would be great to see.